This month we say goodbye to an old friend - after two and a half years as one of Europe's best-selling phones, the Nokia 6300 has finally been discontinued. In the world of mobile phones, the 6300 is positively ancient. 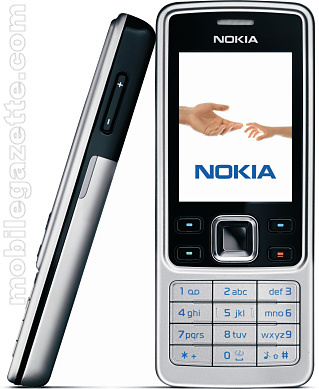 Most handsets are launched and them forgotten within a year, and yet the Nokia 6300 still remains very much in demand. On paper, the 6300 isn't that impressive.. so what gives? There are several elements that we think contribute to the 6300's success. Firstly, this is a very attractive looking phone with a smart, understated design that appeals to many consumers. The 6300 uses high-quality materials, including stainless steel, in its build which gives the handset a very solid "well built" feel. The Nokia 6300 is easy to use, with a simple keypad layout and the tried-and-tested Series 40 interface. The clear, 2" QVGA display also makes using the 6300 straightforward. There's an MP3 player, FM radio, microSD expandable memory, Bluetooth and USB connectivity. There's a 2007-era web browser and email client as well. The phone is not without its faults. The 2 megapixel camera is pretty basic, the 6300 lacks 3G and the small battery only gives 3.5 hours talktime. The replacement 6303 Classic is much better, although the Nokia 6700 Classic is probably a better replacement all around. Not only is it a popular phone, it is a very good benchmark when comparing to other devices. Retailing at about €110 SIM-free, the 6300 is a quality handset for not very much money.. and it's the phone that other manufacturers have to beat. Expect to see the 6300 around for a little while yet in the retail channel, although it's quite likely that remaining stocks will vanish quite quickly. But as we feel that the 6300 is a handset that many consumers are very happy with, we're sure that you will often catch site of one for years to come.